Although ingesting cannabis is the best method of administration for long-lasting effect, sometimes you need instant relief. And the only way to get that is by vaping or smoking. Dosist provides consistent dose delivery. Each user-friendly and extremely portable pen contains 200 doses. They also have a starter pen that offers 50 doses and it’s a little cheaper. 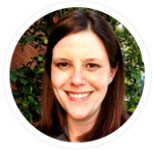 The device vibrates when a dose is administered, providing very precise dosing. For relaxation, we recommend the Calm pen with a high level of CBD. 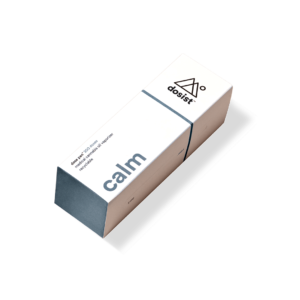 Calm is a high-CBD formula in a 10:1 CBD-to-THC ratio that includes a terpene blend for additional calming effects. This company used to be called Hmbldt so they are making a concentrated effort to move away from the traditional stereotypes of pot smoking (aka, Humboldt County, California) and focus instead on precise dosing within their proprietary pen. Fair warning: the higher the CBD content, the worse the flavor so be forewarned that there is a bit of an unpleasant aftertaste. Also, Dosist, let’s not make claims that the pen delivers “inner peacefulness” – you’re trying to market more medical, precise dosing – so let’s stay it promotes relaxion, not peace! You can also fine cheaper low-dose vaping pens no the market but if consistency is important to you, this is really a one-of-a-kind method of administration that gives more certainty regarding the dose.